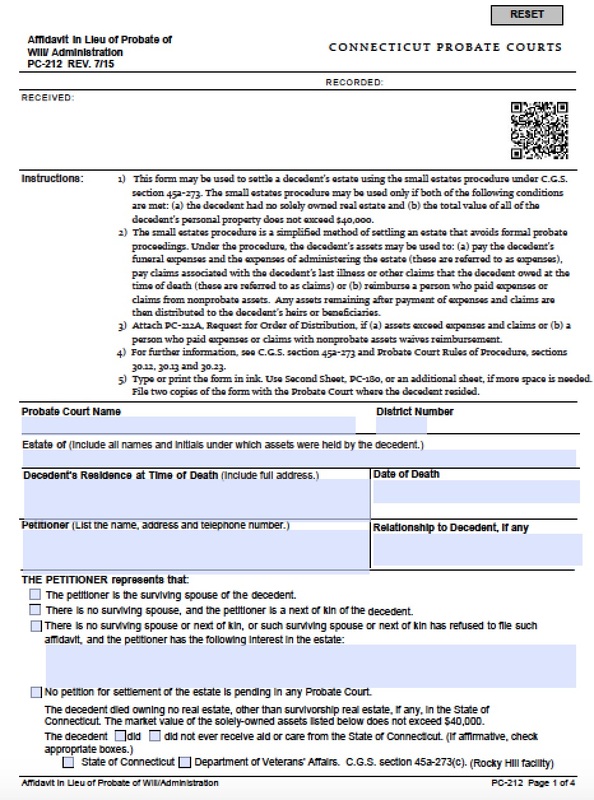 If a successor’s loved one passes away, the successor may apply for an affidavit of heirship to bypass the probate court. Probate courts can take a lot of time and can cost a lot of money, which a grieving family or successor may wish to avoid. If the loved one does not have a will, or has personal property not named in the will, then the estate normally goes to probate court. However, an affidavit of heirship allows the successor(s) to bypass the probate court if the decedent’s estate has a value of less than $40,000. 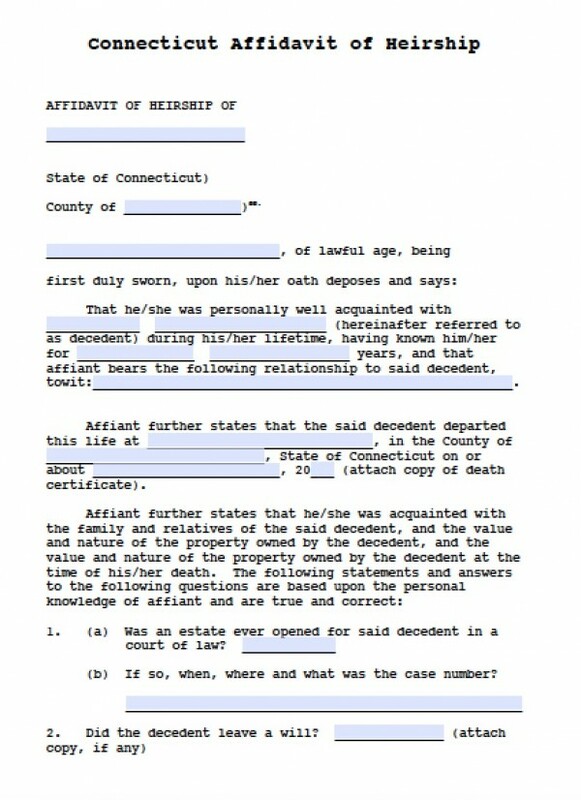 These procedures are governed under Connecticut laws Conn. Gen. Stat. § 45a-273. Step 3 – Sign the document and make sure to do so in front of a notary public.